Dr. Shimokawa talked about his experiences during his PhD days, in order to encourage younger postgraduate and undergraduate students at the University of Hyogo to enter the doctoral program. He also gave a seminar about his recent research findings on frustrated honeycomb-lattice magnetism. The OIST science challenge was held again this year and again members of the Shannon unit participated. Seen here are PhD students Kimberly Remund and Andreas Thomasen demonstrating superconductivity and the Meissner effect using magnetic levitation. 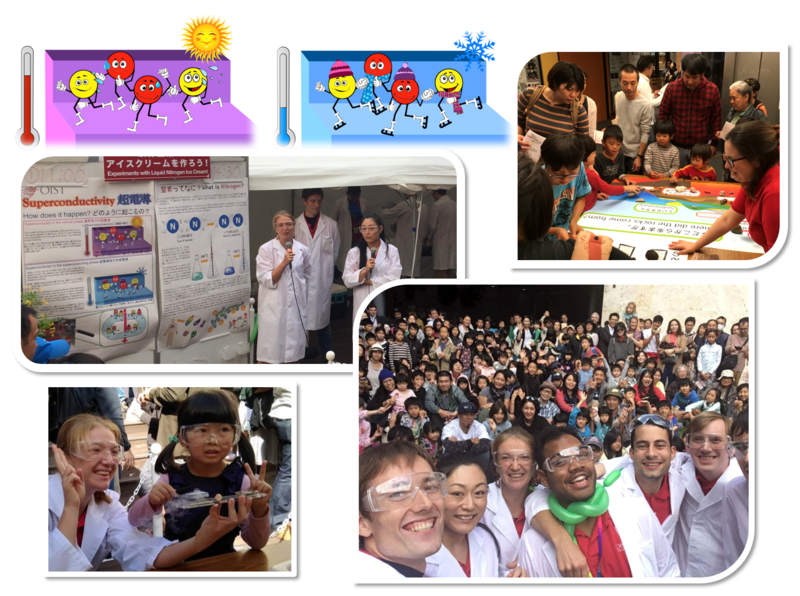 The OIST Science Festival (previously known as OIST “Open Campus”) took also place this year and surprised with a record attendance of more than 5,300 people! Kimberly Remund, Andreas Thomasen and Rico Pohle - all PhD students in the TQM unit - worked hand-in-hand with Maki Maeda (Light-Matter Interactions unit), Jason Ball (Quantum Dynamics unit), Matthew Edmonds (Quantum Systems unit) and Bidesh Chatterjee (Membrane Cooperativity unit) in order to demonstrate exciting low-temperature quantum phenomena to the local Okinawan Community. Christina Lee, also a PhD student in the TQM, introduced geology and explained various minerals from all around the world to children and their family. 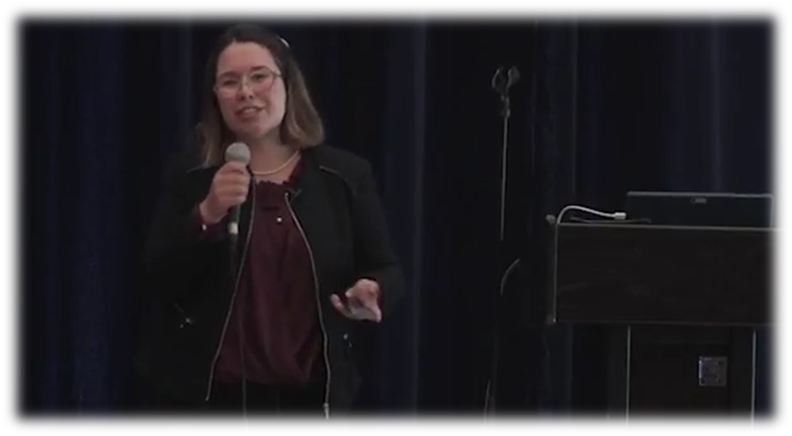 Christina Lee - PhD student at OIST - gave a talk at JuliaCon 2017 in Berkeley. She displayed both good and bad examples of documentation and tutorials, as well as guidelines for improvement. 2017 Mar Science Challenge - What is Your Science Dream? 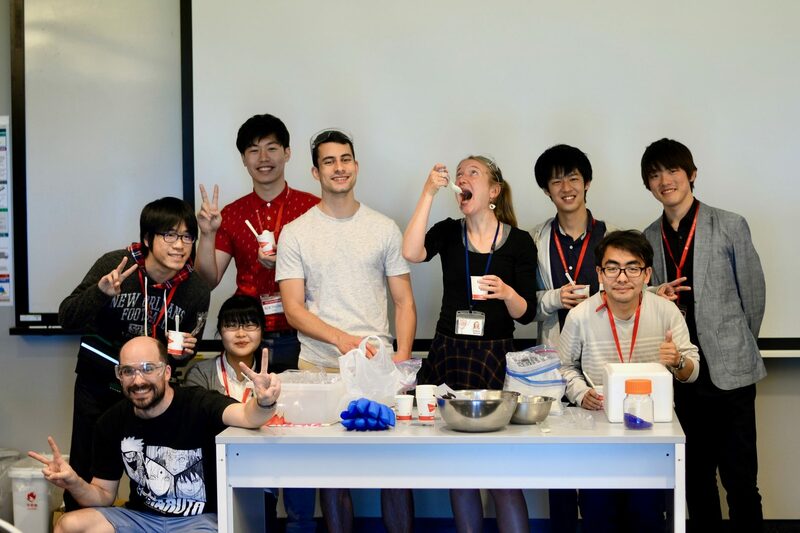 Also this year during the OIST Science Challenge the TQM unit gave Japanese college students a glance into the multifaceted world of Quantum Phenomena. After setting up the frame for modern Quantum Physics with a historical introduction by Prof. Nic Shannon, Kimberly Remund - a 1st year PhD student at OIST - showed why and how electromagnetism leads to the formulation of Quantisation and Quantum mechanics. After an introduction to Superconductivity by Rico Pohle - 5th year PhD student at OIST - the presentations ended with the highlight of the program: a hand-on session on real superconductors, able to levitate just a few centimeters above very strong magnets. 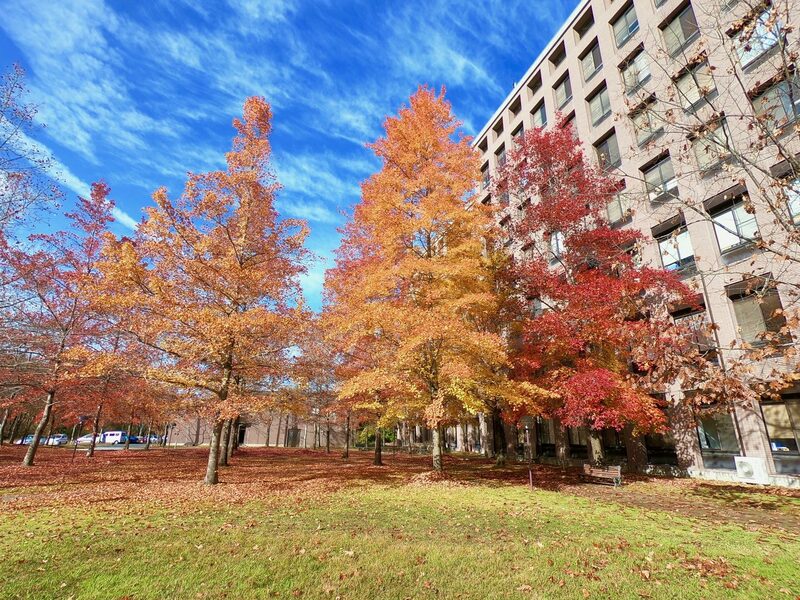 The OIST Science Challenge offered a highly diverse program for college students from all over Japan. Part of the schedule were explanations and experiments of many particle physics, here demonstrated by Dr. Karim Essafi and Dr. Ludovic Jaubert. At the last day Rico Pohle also joined the curious students in a Questions and Answers session (lower right picture). Dr. Ludovic Jaubert (in red) is teaching low temperature physics and its importance in superconductivity to high school students of the Onna Junior High in Okinawa, Japan. A whole day of science with more than 5000 visitors at the Open Campus 2015 of OIST. While Dr. Ludovic Jaubert and Rico Pohle presented low temperature phenomena in superconductivity (upper picture), Christina Lee (red T-shirt in background of lower-right picture) explained various minerals to the local community.